Buy one pair of Complete Spectacles with Crizal Forte lenses and get a second Complete pair Half price. Complete pair = 1 Full price frame with full price Crizal Forte UV lenses. What is to be purchased and what will be half price itemised below. Purchase a complete pair of reading / close vision spectacles and receive a complete pair of reading / close vison spectacles half price. Purchase a complete pair of bifocal spectacles and receive a compete pair of either Bifocal, distance or reading / close vison spectacles half price. 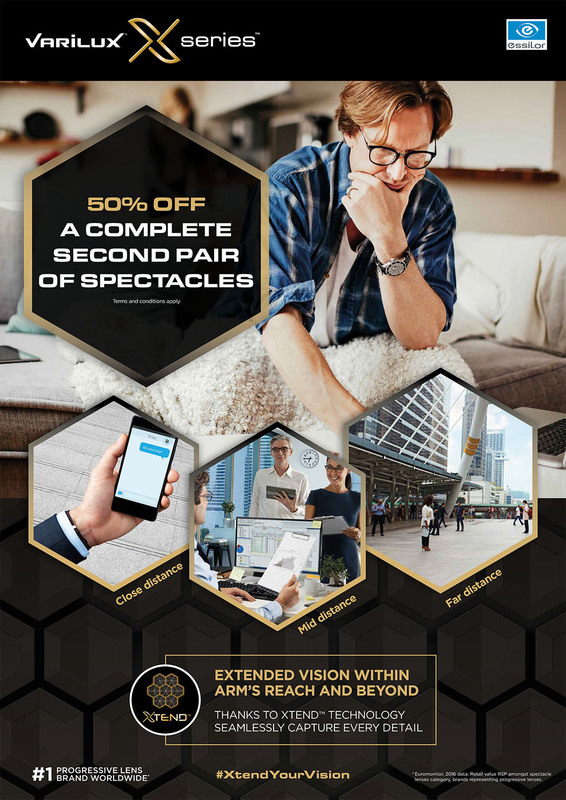 Purchase a complete pair of Vari -focal spectacles and receive a complete pair of Vari- focal spectacles half price, OR Distance or reading / Close vison spectacles half price. * Of the 2 pairs the lower priced complete pair of spectacles (frame and lenses) with be the half priced pair. ** Cannot be used in conjunction with any other offer. *** All Crizal Forte lenses have a 2 year scratch resistant warranty. If you do however scratch your Crizal Forte UV Lenses, we will return the lenses to Essilor and they will exchange the lenses on a like for like basis at no charge.